As a part of the firm’s Litigation group, Jay Thibodaux, recognized as a New Jersey Super Lawyer Rising Star in Estate and Trust Litigation, represents the firm’s individual and corporate clients in a wide range of cases. 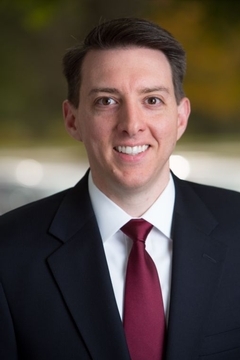 Jay has prosecuted and defended a variety of litigation matters, including those involving estate and trust administration, the appointment of fiduciaries and breach of contract, in both New Jersey State and Federal Courts. Jay’s role in these cases has included providing in-depth analysis and application of the New Jersey Consumer Fraud Act, the probable intent doctrine, the implied covenant of good faith and fair dealing, and the prerequisites to piercing the corporate veil. Jay has also handled various other commercial disputes, such as those involving the Uniform Commercial Code, personal injury claims, employment litigation involving the New Jersey Law Against Discrimination and the New Jersey Conscientious Employee Protection Act, and commercial landlord-tenant disputes. Jay has taken a lead role in the firm’s complex commercial litigations that involve the preservation and production of electronic discovery, and he has managed high-volume e-discovery document review and production. During his time with the firm, Jay has played a meaningful role in high-profile estate and trust cases, including representation of major financial institutions and the trustees of major trust funds with hundreds of millions of dollars of assets. Prior to and during law school, Jay obtained valuable exposure to various business industries through his positions as a property accountant for Entergy Corporation (NYSE: ETR), a tax accounting intern for Deloitte LLP, a legal extern for the New York Stock Exchange, Enforcement Division and a legal internship with FINRA (formerly, NASD). During law school, Jay was a member of the Journal of Sports and Entertainment Law, the Interscholastic Moot Court Board and Phi Alpha Delta Law Fraternity. He was a semi-finalist in the Eugene Gressman Moot Court Competition. After law school, from 2005 to 2006, Jay served as law clerk to the Honorable Howard H. Kestin, P.J.A.D., in the Superior Court of New Jersey, Appellate Division. Following his clerkship and prior to joining Berkowitz Lichtstein, Jay was associated with two well-respected New Jersey law firms. As a native of New Orleans, Jay maintains close ties to the area, including personal and business relationships with fellow alumni of his alma mater, Jesuit High School.